The student journalists from Crescent magazine and the Southern News won regional college journalism awards on Saturday, April 6 from the Society of Professional Journalists, Region 1 at its annual conference in Boston. Crescent earned four awards and the Southern News two awards. The Crescent staff won the finalist award for Best Student Magazine for its Fall 2018 edition, the second publication in its young start. The full magazine can be viewed online at crescentmagazine.org. Alumna and Journalism minor Jefferine Jean-Jacques was selected as the winner in the Feature Photography category for her series of photos, “Through the lens,” published in the inaugural edition of Crescent magazine in Spring 2018. Jean-Jacques’ photo package was culled from various trips she took with her three children to show them the world. Among the countries captured were Haiti, India, Ghana and Ethiopia. Jean-Jacques has a degree in Interdisciplinary Studies. Her photos will move on to the national SPJ college competition. 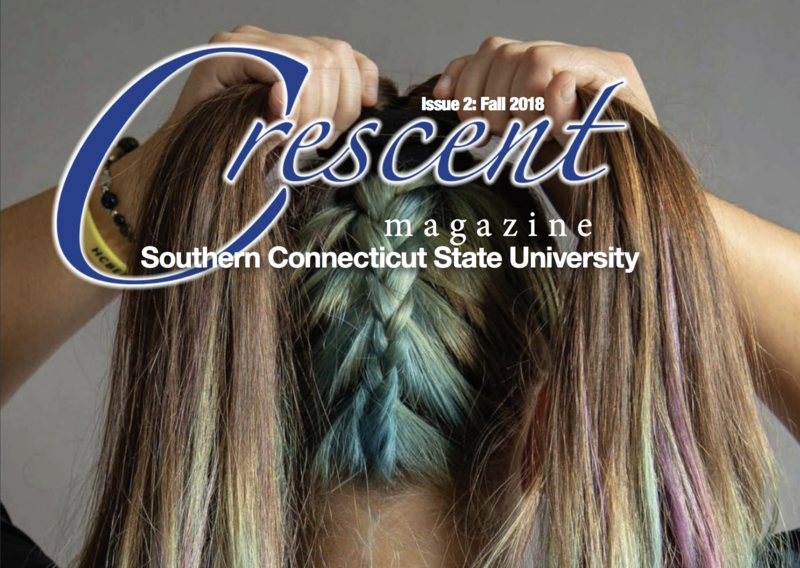 Other regional winners for Crescent include, Managing editor Jacob Waring, who won a Finalist award for Non-Fiction Magazine Article, “A lot to juggle,” in the Fall 2018 edition on SCSU students who are also parents. Waring is a Journalism major. And Photo editor Meghan Olson, a Studio Art-Photography major, who won a Finalist award for Feature Photography, for “Funky hair,” the Fall 2018 cover package. 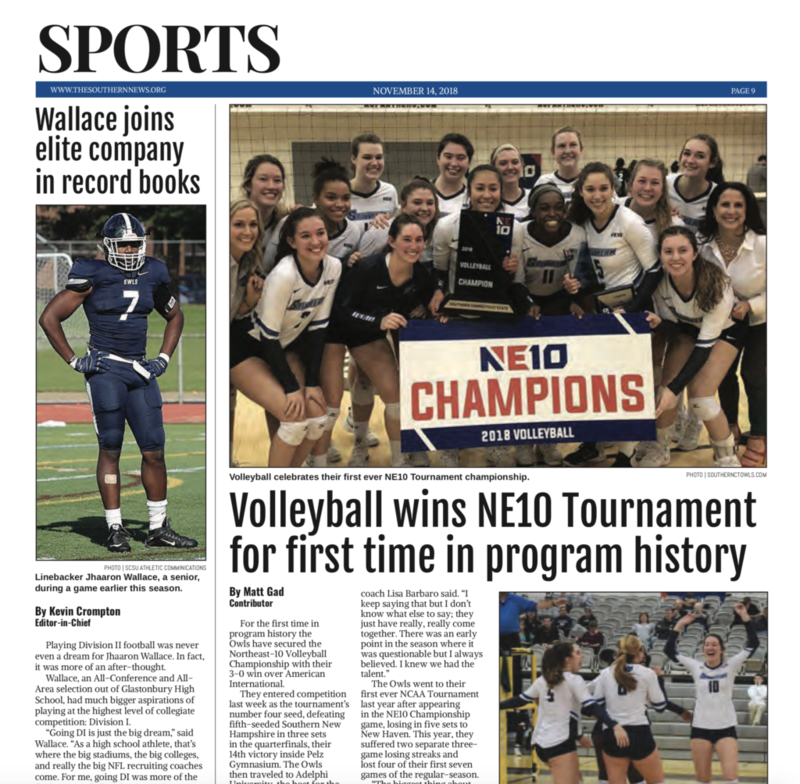 Southern News Editor-in-chief Kevin Crompton won a finalist award in the Sports Writing category for a profile on Owls linebacker Jhaaron Wallace, “Wallace joins elite company in record books.” The story highlights his journey from high school to college and how he ended up at a Division II school despite his dreams of playing at the Division I level. Through his four years at Southern he now sits at fifth all-time in career tackles in the SCSU record book. He is one of the top linebackers to come through the program. 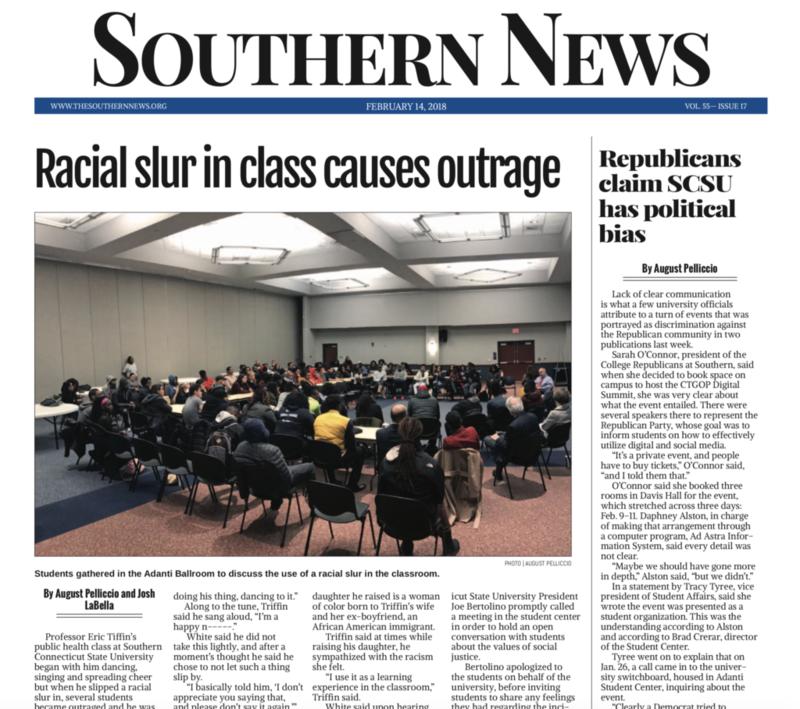 Former Managing editor Joshua LaBella and former Op Ed/Features editor August Pelliccio won a finalist award for Breaking News Reporting, “Racial slur in class causes outrage.” The story covered Prof. Eric Triffin’s use of the N-word in class. Triffin said the word while singing a song that a student played out loud in class. One student told Triffin he didn’t appreciate the professor using that word and Triffin proceeded to defend why he can use the word. The story detailed the events that took place and students’ reactions to the incident. Both Triffin and students were quoted in the story. Each category included one Winner and one Finalist. SPJ Region 1 encompasses universities from Maine through New England to New York, New Jersey to Philadelphia. Students from the SCSU SPJ chapter were on hand to accept the awards at the ceremony in Boston.